2019 marks the bicentennial of the birth of Walt Whitman, who spent many of the last years of his life in Philadelphia, visiting frequently from his home in Camden. We will celebrate the life of the great American bard and revel in his democratic verses . . . with a cocktail! 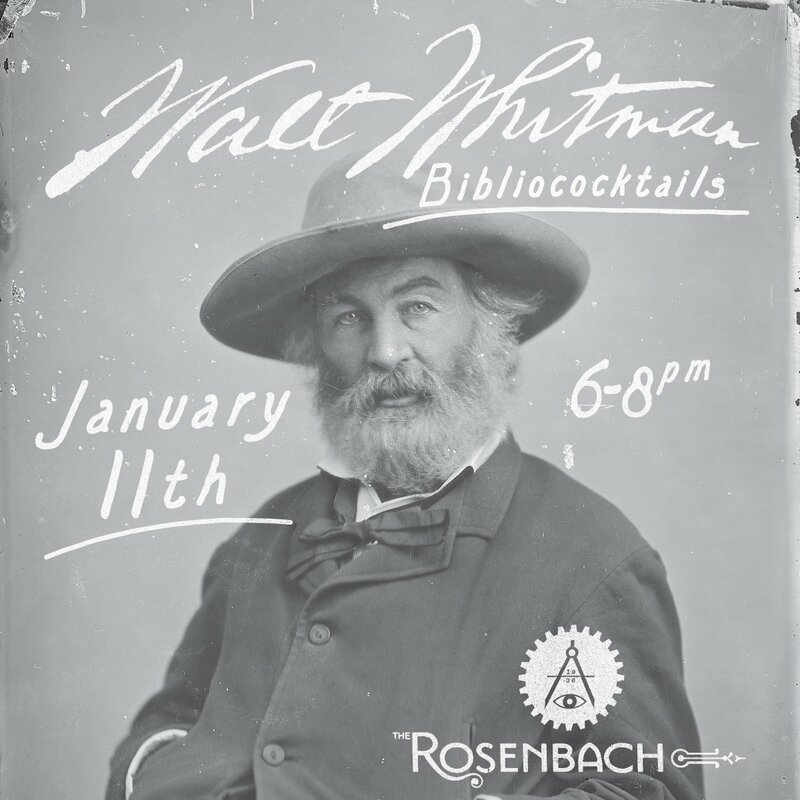 The Rosenbach's Bibliococktails series celebrates great literature and great libations. Held on the second Friday of the month, programs include themed cocktails and a fun activity. 21 and up. Advance registration is strongly recommended.